Grand National GN6R forged aluminum six-piston radial mount calipers bring current state-of-the-art design, materials, and manufacturing technology to this long standing icon in the Wilwood caliper line. With a High-strength forged aluminum body in either hard-anodized or Quick-Silver nickel plate finish and Compatible with rotors from 1.25” to 1.38” thickness and diameters from 12.19” to 13.06”. Two body widths are available for use with .80” (20,3) or .99” (25,0) thick pads. 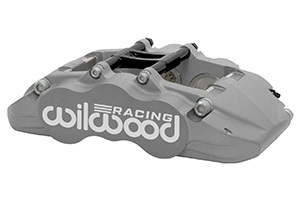 Stainless steel pistons are included base model GN6R anodized calipers and Thermlock® pistons in the GN6R/ST models. 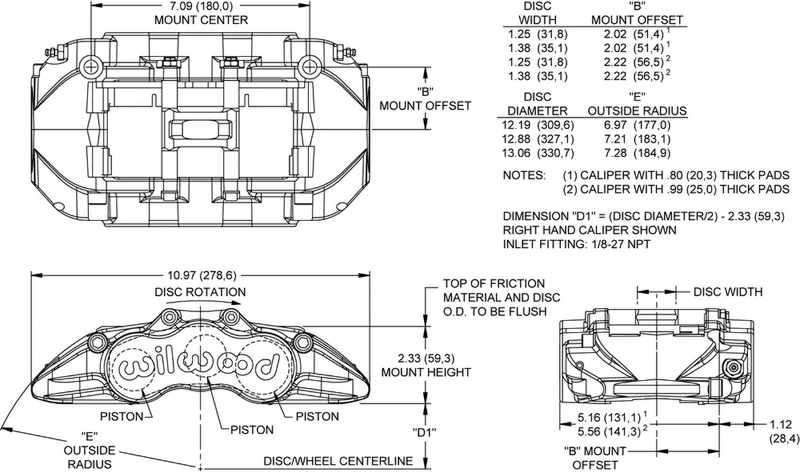 Uses 3.5” or 6.0” center mount bracket kits to replace all previous Grand National caliper models. Note 1. 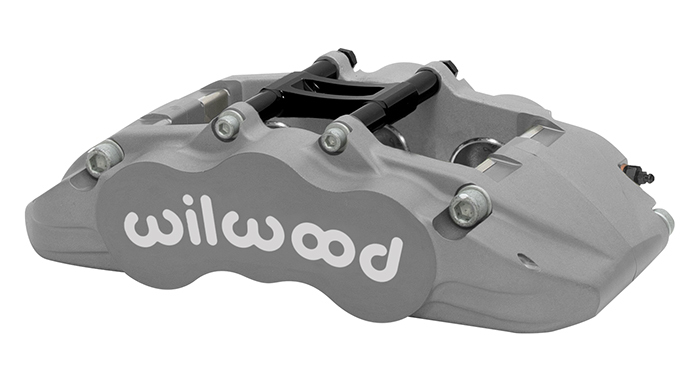 Caliper uses .80" (20mm) thick pads.